Sure, mold isn’t all bad. It’s beneficial to our ecosystem by breaking down dead substances such as leaves and trees and depositing them back into the environment. If you like mushrooms on your pizza, that’s a species of mold. And who could forget the wonder drug, penicillin? Yet, for all the good mold has contributed, no one finds a patch of dark green fungus dwelling in their bathroom and calls their friends over for a celebration. Instead, they growl with frustration and call for mold testing. At NOW Environmental Services, we’re the ones to call. Being a Certified Mold Assessment Consultant and member of the Indoor Quality Association (IAQA), we are experts in mold recognition and use only the best and latest mold testing and sampling techniques to identify your problem and help you with situation thereafter. 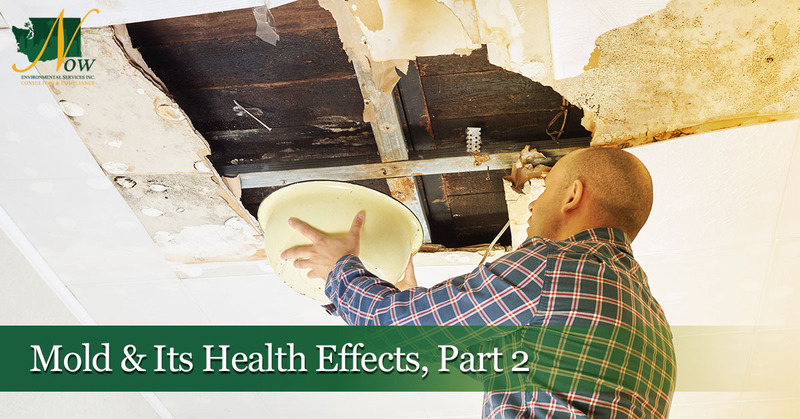 In our previous blog, we discussed a few of the most common mold found within households, schools, and businesses (Aspergillus, Cladosporium, and Stachybotrys Atra AKA black mold), as well as some of the adverse effects it may have on your health. It varies from person to person, but common symptoms of prolonged mold exposure can include mold induced asthma all the way to neurological disorders and death. It’s important to be informed about mold and to know when you might have some lurking about in your basement or festering in the company bathroom. Even if it doesn’t affect you, it can cause some serious health concerns to others, specifically if they have a weak immune system. On this blog, we’re going to give you some tips on mold prevention as well as some insight into what we do when you call over our experts for mold testing. If you have any suspicion of mold in your school, workplace, or home, be sure to call us today and our certified inspectors will talk with you about steps we can take and will give you a no obligation free estimate. While mold can be pretty illusive and find some dark, hidden crevices to grow, it’s important to know what type of property it likes to call home. The answer is pretty simple, anywhere with moisture! While mold can travel into your home through any open entry, vent, or even cling onto your clothing and hitch a ride, once inside, it seeks out the moisture. This can be around a leaky pipe, a surface in your shower, flooding in the basement, or just in a room with high humidity. First things first, take a careful tour of your house or business and identify any problem areas that mold could prosper. Maybe there is a crack in your basement that drips a little bit when it rains outside, a shower that seems to hold condensation too long, or carpet that seems damp whenever the summer sun shines. Once identified, correct these issues. Get the foundation crack fixed, make sure you and your family wipe or squeegee down the shower after bathing, rip out the damp carpet. While some of this might cost money, it will save you in the long run and keep you healthy. You’re also going to want to avoid leaving anything damp out. Don’t dry your clothes indoors or leave them in a wet heap in the corner, always wipe up spills or puddles, fix the leaky sink in the kitchen. Take a quick look at your gutters and drainage systems as well, for any improper drainage can lead to still water, and eventually mold. Once again, it is all about moisture control. It can be easy to forget, but remind yourself to always use proper ventilation. This includes using a vent or a fan while you’re cooking or showering, making sure your washing machine or laundry appliances are functioning correctly, or, if you’re not in a humid environment, simply open some windows while partaking in a moisture producing activity. If your area is experiencing high humidity, it might be smart to invest in some AC units or simply some dehumidifiers, but make sure that they are functioning properly or you might be causing even more moisture inside. If you’re building a new house or business, or renovating, consider using mold-resistant products if you think you’re at risk for mold. Mold loves to grow on high cellulose content, such as paper, drywall, and fiberboard. But these days, mold-resistant products are used to completely avoid the chance of growth. If you have already found some mold in your home, school, or place of business, or have suspicion that there could be growth, call the mold experts at NOW Environmental Services before it becomes a serious health issue. After an assessment is made, we will follow a methodical approach to help you understand the situation and further steps to take in order to quickly and effectively deal with your indoor air quality and mold problems. For over 25 years, NOW Environmental has been proudly serving Washington state and the Pacific Northwest with our expertise in recognition, evaluation, and control of occupational and environmental health issues. While mold testing and inspections are service that we offer, it is one of many. 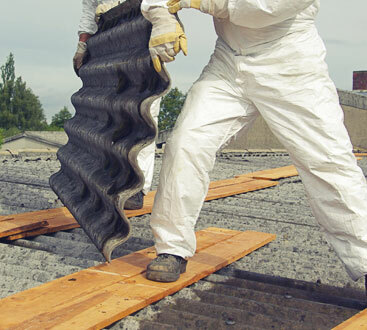 We also specialize in asbestos sample analysis, asbestos survey, indoor air pollution testing, lead sample testing and analysis, mold in air inspections, and more. We have proudly served thousands of private, industrial, governmental, and residential clients in the community and are the experts in environmental health related issues and compliance statutes. If you have any questions or concerns, please contact us today! NOW Environmental has been providing answer to environmental questions that individuals, industry, and government agencies have relied on for over 25 years. NOW Environmental offers fast and price effective service. Free initial phone consultations with a certified professional always welcome. Certified provider of EPA, WISHA, and OSHA training.